If you are a student or a parent of a student, prepare to cut a slightly larger check for student loan repayment in a few months. On July 1st, federal student loans will see interest rates double from 3.4% to 6.8%. The Senate voted today to begin a debate on a bill to keep rates down for another year, but a vote of 52-45 was 8 too short to start the process. The problem for the men and women in Washington is what they are going to do about the $6 billion it would cost to keep rates down. Members of the House want to cut money from health care. President Obama has already vetoed that idea. Members in the Senate want to get rid of a few tax benefits that small business owners get. It is possible as negotiations are going on that another vote could take place by the end of the week. With the economy still on the way up, but not all the way back yet, Obama feels it is only right to extend the decreased interest rate one more year. 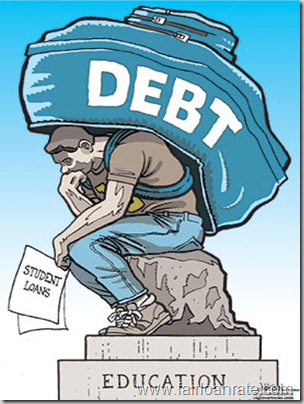 Otherwise, graduates entering a lack luster work environment would be struggling to make those loan repayments.